Helping to answer questions, find resources, create awareness and educate people affected by brain injury in New Mexico. 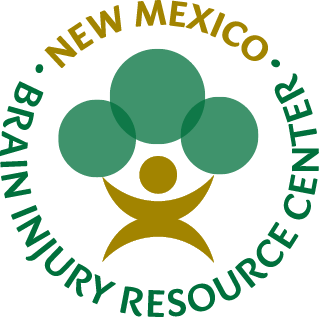 The New Mexico Brain Injury Resource Center (NMBIRC) is your one-stop shop for information and referrals on a wide variety of topics related to brain injury including services, supports and education. The New Mexico Brain Injury Resource Center at ARCA is funded through the New Mexico Brain Injury Service Fund of the New Mexico Human Services Department. OPEN: Monday – Friday, 8:30 a.m. – 3:30 p.m. The managing partner of the New Mexico Brain Injury Resource Center (NMBIRC), ARCA, was incorporated in Albuquerque in 1957. This nationally recognized nonprofit provides lifelong supports for individuals with disabilities to live, work and enjoy rich recreational experiences in valued community roles. INFORMATION AND REFERRAL: A Brain Injury Information Specialist is available Monday – Friday, 8:30 a.m. – 3:30 p.m. to provide confidential support, information and referrals following a brain injury by visiting us in person at 1503 4th St. NW, Albuquerque, NM 87102 or by calling 1-844-366-2472 (1-844-3NM-BIRC). NMBIRC staff will offer follow up with interested callers to ensure successful access to services. NMBIRC is an information resource and is not a substitute for medical or rehabilitative services. Persons with brain injury, their family, friends and professionals can use this FREE statewide telephone service to ask questions, find brain injury support resources, navigate complicated systems and assist with educating family, employers and professionals about living with a brain injury. RESOURCE FACILITATION: This follow up service ensures persons contacting the New Mexico Brain Injury Resource Center successfully access necessary information and/or services. Resource Facilitation provides the information and supports necessary for each person to actively guide and direct his or her rehabilitation process. Resource Facilitation does not replace any medical or rehabilitation follow-up that may be needed. LIBRARY: Our specialized library has books, videos, DVDs and journals available for checkout online or onsite use by the public. Tip sheets and other informational materials regarding Medicaid, state wide programs, employment and other services are available. All materials can be mailed to you anywhere (within New Mexico) at no charge. We will even include return postage! To request a library item, click on the LIBRARY tab on the left tab section of this page. You will find a fillable form with instructions to complete and submit. If you include your email you will receive a confirmation of your request. To view our complete library list please click here. OUTREACH: If you would like your organization to be added to our list of community resources, please click here. You may opt to be added as a community resource, to receive our emails, or both. COMMUNITY CENTER: Individuals with Brain Injury are welcome to visit our Metro location at 1503 4th St. NW, Albuquerque, NM 87102 to socialize, recreate, attend support groups, use the library and computers, and/or attend any scheduled events. Our specialized library has books, videos, DVDs, workbooks and journals available for checkout online or onsite by the public. Tip sheets and other informational materials regarding Medicaid, state wide programs, employment and other services are available. All materials can be mailed to you anywhere (within New Mexico) at no charge. We will even include return postage! To search our library or place an order, please click here. Scroll down to review answers to frequently asked questions about brain injury. An acquired brain injury (ABI) is an injury to the brain that is not hereditary, congenital, degenerative, or induced by birth trauma. It includes all types of traumatic brain injuries and also brain injuries caused after birth by cerebral vascular accidents (commonly known as stroke), and loss of oxygen to the brain (hypoxic brain injury). A traumatic brain injury (TBI) is an alteration in brain function, or other evidence of brain pathology, caused by an external force. The cause of this type of injury is an external force after birth. Common causes of a traumatic brain injury include gunshot wounds, motor vehicle crashes, assaults, or falling and striking your head. Conditions to the brain that are present at birth or are progressive in nature, such as Alzheimer’s disease or Parkinson’s are not considered a traumatic or acquired brain injury. What are the causes of Non-Traumatic Brain Injury? What is the Severity of a Brain Injury? The severity of a brain injury is classified in three levels: mild, moderate and severe; the severity of the injury indicates the extent of the damage and gives an idea of the effects the injury will have on the person. To measure severity of brain injuries medical personnel utilizes the Glasgow Coma Scale, a test that allows medical personnel to determine the responsiveness of a person in three areas (eye opening, verbal response, and motor response) after a brain injury. Other measures, like the Rancho Los Amigos Scale, are used to assess consciousness, responsiveness and receptive skills. Loss of consciousness for less than 30 minutes (possibly no loss of consciousness) Coma more than 20-30 minutes, but less than 24 hours Coma longer than 24 hours, often lasting days or weeks. However, the effects of a brain injury are not fully understood and/or predicted until after the person that suffered the injury has completed the medical treatment in the ICU and enters the rehabilitation process. This inability to understand, predict, and sometimes identify a brain injury has lead the World Health Organization to label brain injury as the “silent epidemic”. What is the Brain Injury Incidence in the United States and New Mexico? According to the Brain Injury Association of America an estimated 2.5 million people sustain Traumatic Brain Injuries on a yearly basis in the United States. The groups that are most at risk to suffer injuries are young children, adolescents/young adults, and older adults. In 2010, the New Mexico Epidemiology and Responsive Division Office of Injury prevention reported that between the years 2004-2007 an average of 9,020 people were discharged from hospitals with brain injury related diagnosis. The majority of those discharges (Avg. : 7,631) were ABI related discharges; while an avg. of 1,389 were TBI related discharges. What is the Prevalence of Brain Injury in the United States? Brain Injury is the second most prevalent cause for disability in the United States according to the Brain Injury Association of America; an estimated 13.5 million Americans are living with a brain injury at this time, which represents 4.5% of the population of the United States. The overall rates of Traumatic Brain Injury have gone up gradually from 2001 through 2010, this is due to the drop on death related to Traumatic Brain Injury over the same period of time. What is the functional impact of Brain Injury? While broken bones eventually heal, cognitive, sensorimotor, and behavioral deficits can result in life long changes in how an individual with brain injury functions in society. A brain injury can affect how a person feels, thinks, acts, and relates to others. The functional impairments that result from brain injury are: cognitive impairment, memory impairment, executive function impairment, initiation impairment, speech and language impairment, sensorimotor impairment, and behavior and emotional changes. With the right treatment and access to rehabilitation some cognitive problems will resolve themselves over time, others may persists and require the person to utilize compensatory strategies to overcome such deficits. They can be defined as behavioral challenges that can be attributed to specific aspects of a brain injury. Sometimes normal inhibitions and judgment are reduced due to the injury; a person with a brain injury may have challenges with self-regulation or self-control, impulse control, over-arousal, frustration tolerance and problems in perception. They may overreact to situations, get angry without provocation or behave in socially inappropriate ways. Medications are effective in assisting them with behavior control in some cases, but it is important that in all cases appropriate behavior learning strategies are designed specifically for the person to teach how to control/better approach different situations and reactions. Neurobehavioral and personality changes are often considered to be the most problematic consequence of brain injury; these behavioral challenges can be temporary or lifelong. The manifestation of such behavioral changes can be directly correlated to the location of a brain lesion. Aggression and anger are trait frequently present when the lesions affect the frontal lobe. Anger and aggression seem to be caused by a reduction of impulse control as the result of the brain lesions. After brain injury folks can lose the appropriate boundaries when they experience sadness, happiness, and sexual feelings. The loss of inhibition and impulse control can result from the location of their brain lesions, or the loss of communication between areas of the brain, like we see in individuals with Diffuse Axonal Injuries. A concussion results from a blow to the head which causes the brain to strike the skull. A concussion does not cause any structural damage to the brain, but can cause temporary loss of functioning. Headaches, memory loss and sleep disturbance are common symptoms a person may experience after such an injury. A contusion is a more serious blow to the brain. Contusions result in bruising of the brain and more noticeable loss of functions. More comprehensive care is required for a contusion. Follow-up treatment and evaluation are required on a regular basis. Is there financial assistance for people with brain injury and their families? Financial assistance may be available after a brain injury although not everyone who sustains a brain injury is likely to be eligible to receive it. Financial assistance can come from a range of federal government programs, such as SSI and SSDI (Supplemental Security Income and Social Security Disability Income), state and local government programs, not-for-profit organizations and foundations, community groups, religious organizations and even local fundraising events. In addition to direct financial assistance, help with low-cost housing, paying heating bills, transportation, education, nutrition and job training may be available. These services vary widely by state, city and town. Many opportunities have special eligibility requirements; contacting the New Mexico Brain Injury Resource Center, Brain Injury Advisory Council, or the New Mexico Brain Injury Alliance is a good start in the quest to learn more about available funding and financial support. How can I request an item from the NMBIRC Library online? Please click on the LIBRARY tab at left to access our online Library Search and Request. If you find something you’d like to place on hold or borrow, fill out the form to the right of the Library Search and Request page. Once you’ve submitted the form, we will contact you regarding your request and it’s fulfillment. We will also enter you as a library patron, so all future requests can be completed with a simple click of a button. If you have any questions about the NMBIRC library or requesting a library item, please CONTACT US. We are here for you! Contact information is not required should you wish to remain anonymous. If you would like a response, please include your email. Thank you! Please complete to form below so we can add you to our mailing list. You will receive information about upcoming events, classes and news relating to brain injury in our community. Specify whether you would like announcements and news emailed to you or delivered to your mailing address. Please E-MAIL me with news and upcoming events. Please MAIL me news and upcoming events. Would you like us to add your organization to NMBIRC’s list of community resources?